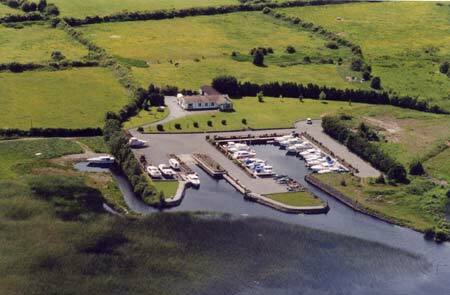 LOUGH REE MARINA is a quiet, secluded and sheltered harbour, set in beautiful natural surroundings, where boat owners can moor their craft in safety and come and go at their own pace. 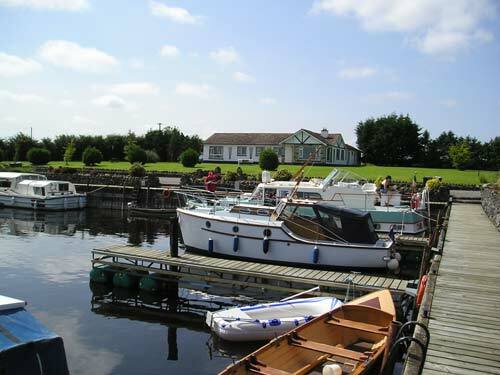 Located on the East shore of Lough Ree, close to the village of Glasson near Athlone, it is one of the most attractive harbours on the River Shannon. Constructed in stone and old railway sleepers and edged with a boardwalk and rockeries, it blends perfectly into the natural surroundings of this secluded part of the lake. Mooring spaces have floating jetties. Because of our proximity to Athlone, the harbour is very accessible by road from most major towns and cities - e.g. Dublin 78 miles, Galway 50 miles.